Do you find yourself scratching your head wondering where to get fresh ideas? Look no further this years writing websites will help clean that distress away. 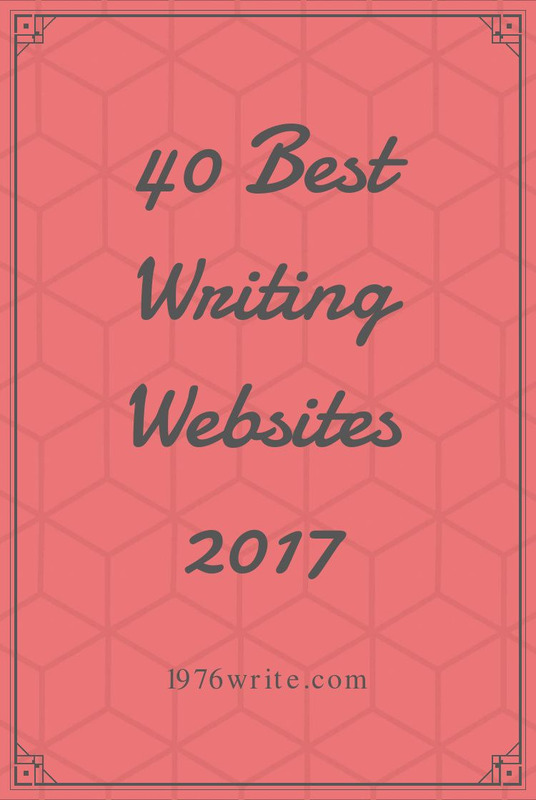 Whether you're suffering from writer's block, uncertain of what to in the publishing process, this list of websites will help clear all of those cobwebs away. 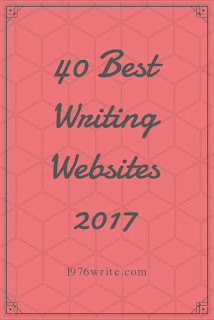 This list of websites will help you with publishing, creative writing advice, business tips and everything in between, you can stow it away in your bookmarks when you need help. A website dedicated to learning to write well. Mary Jaksch its founder brings the age old-advice to keep writing to a different level, pointing out that its not practise that makes you a better writer - its practise directed in a positive way. Therese Walsh and Kathleen Bolton decided to create Writer Unboxed in 2006 in order to freely publish their observations. Since then its grown into a thriving online community, with contributions from writers of all levels to the craft of writing. Like any fictional character in a story, all writers must weather the storm of their profession. This website is run by a group of authors, providing inspiration and tips for authors, providing inspiration and tips for writers during all stages of the process. A one-of-a-kind resource provided by Angela Ackerman and Becca Puglisi, that writers can actually utilise for themselves. They provide books and blog posts helping writers become better storytellers. Their library is teeming with tools for planning, researching and writing your book. Mandy Wallace, a writer, doesn't believe that when it comes to writing that you should wait for a lucky strike or inspiration to come. Instead just "show up, shut up, and write," sooner or later it'll all come together. Wallace offers blog documents, writing, lessons as well as practical guides for upgrading your writing. Witty Title Here offers writing advice, inspiration, writer spotlights and more - with a feminist twist. It also publishes reader-submitted pieces for writers just starting out or finding their voice. Practise, the number one thing all successful writers have in common. Joe Bunting and his team at The Write Practise help you develop your writing rhythm and grow your voice and identity as a writer. Find inspirational posts for when you're stuck in a rut and suffering from writer's block, offering guidelines for everything from publishing your book to feedback on your published works. Run by best-selling author Kristen Lamb, guides writer's through comprehensive and detailed posts with a whimsical and easy-to-read tone. Bryan Hutchison offers a blog to help writer's be more motivated, moving beyond writing paralysis and finish the work they set out to create. Yeah Write presents weekly writing challenges for fiction, non-fiction, poetry and micro stories each week. The community gets to vote on the most impressive stories and discover new favourite writers. A social platform where "stories are made social". The world's largest community of writers and readers, all members are free to post and read original stories as well as engage in conversation with other members. A literary blog that accepts submissions from writers of just about any genre of writing out there. Founded by author Kamy Wicoff, over 27,000 writers of all levels have joined this exciting community. She Writes provides you with a profile where you can create your own profile and build a network, as well as sharing your own work you can get feedback and be involved in discussions on all sorts of things in the forum. This writing community relies on a "karma points" system, where you spend points in order to submit your writing, and receive points when you provide extraordinary critiques. Free writing contests and an active forum are also regular events. At 1st 10 pages "first impressions" really do count, writers can anonymously post the first 10 pages of their work to be carefully reviewed by established industry insiders. A thriving community of science fiction and fantasy writers. Members gather to discuss their favourite books, authors and common themes in fantasy and science fiction writing. A group of nearly 10,000 writers found on Facebook. You can post your writing for reviews, while veteran members announce details of upcoming book releases and published pieces. A community and book publisher driven by data where writers can share their work and find an audience for free. Inkitt's unique algorithm analyzes reading behaviours to understand whether a novel has potential to become successful. If readers really like your work, Inkitt will offer you a publishing deal. Discover a structured, straightforward way to get your book done with the Now Novel program. A step-by-step process takes the guessing out of what to do next, with personalised membership and community groups for even more support. A reliable blog about blogging, founder Darren Rowse and his Problogger team bring you all the latest news and tips to build a better blog. With extensive resources on how to monetise you blog as well a job board updated regularly full of new opportunities. Copybloggers site takes your content marketing and SEO and community building to the next level. With a free library of free ebooks, blog posts, forums and much more. A leading resource for professional blogging from the creators of Rainmaker Platform for digital marketing. Jon Morrow and his team at Smart Blogger offer a wealth of resources to increase traffic to your site and build community, all done without the sacrifice of quality content. If you're looking to grow your blog audience, Beyond Your Blog provides practical tips and resources for getting published on other blogs and in digital publications, so you can engage new fans more easily. Sophie Lizard will teach you how to take your freelance blogging skills to pro level through her blog posts, free community and jobs board. Showing you how to increase your blogging income and become an expert in your niche. Author Joanna Penn offers articles and resources relating to marketing, publishing and writing books. A consulting editor, Alan Rinzler, shows writer's what goes on behind the scenes of the publishing process. Find practical information on author websites, networking and the publishing process. Get big news and links to big news stories in the world of publishing. Hosting posts about many different parts of the publishing process The Independent Publishing Magazine has a strong audience, helping authors find the right editor. Jane Friedman former publisher explores the intersection of publishing, authorship and the digital age. Established for 15 years in the industry Friedman knows her stuff - her website is a wealth of information on how to embrace the "future of authorship". Soon-to-be-published author Ava Jae has been established for five years on the internet, sharing vlogs, book reviews, and how-tos, and blog posts about her journey to getting published. Manoeuvring through publishing and writing contracts? Want to read up on your knowledge of intellectual litigation? Discover David Vandagriff's musings on the legal side of the writing business. Editor and industry insider Alan Rinzler offers advice on traditional publishing, self-publishing, landing an agent, marketing and much more. So you've written your book, now what? Discover tons of articles, templates, tools and resource recommendations for getting your book published and marketed and more. Make sure you grab a free copy of Book Marketing Plan and Press Release templates. Mary Carroll Moore, through blog posts, weekly writing exercises, and 12 week book development courses, is devoted to helping writers bring their novels to fruition so they can move forward in the publishing process. Bernadette Jiwa, author of The Story of Telling says the secret sauce to great marketing is building content and understanding between you and your audience. Visit her blog to see marketing as not just a department, but also part of a holistic and successful entrepreneurial experience. Shelley Hitz is on a mission to help you reach your target audience and build your author platform. Read her blog posts, podcast and Author Audience Academy, where you'll find tons of content in book writing, publishing, and marketing. Neil Patel, top entrepreneur and influencer recognised by The Wall Street Journal, Forbes, Entrepreneur, and even President Obama, he's definitely the go-to-guy for all things online marketing. helping companies like NBC, Amazon increase their revenue, his crazy useful content is sure to help your business as well. Don't be swayed by low confidence in your marketing success. Follow Jessica Lawlor and the #GetGutsy community to find inspiration and tips on how-to step outside your comfort zone and go for your goals. DIY book publicity and marketing is something you can definitely do. Public-relations star and author Sandra Beckwith provides articles, training programs and other resources that help take the guesswork out of book marketing.